Adorable Marlboro Man Jacket is made from genuine leather. The orange and black shade has made the outfit extraordinary. Stand up collar makes you fabulous. The frontal opening is given through high quality zip. Harley Davidson Marlboro Man Jacket has long sleeves and left sleeve has flap pocket designing. Button closure is present on hemline. “Harley Davidson” is imprinted on back of the attire. Harley Davidson And The Marlboro Man Leather Jacket has zipper cuffs. Amazing jacket, surprisingly warm and great for the price. For what it is, this is an excellent biker jacket. Fantastic cow leather, warm jacket. Great quality! Perfect sizing and quality. I bought 3. They are that good. Very pleased with the purchase. Bought an extra large (I normally wear a large shirt), suspecting it would be tight. I’m glad I did. It fits, and looks great! It fits very well and reasonable price for a great product. I would recommend them to buy jacket for anyone looking for an inexpensive good looking jacket. Yes…it is extremely great biker leather jacket! 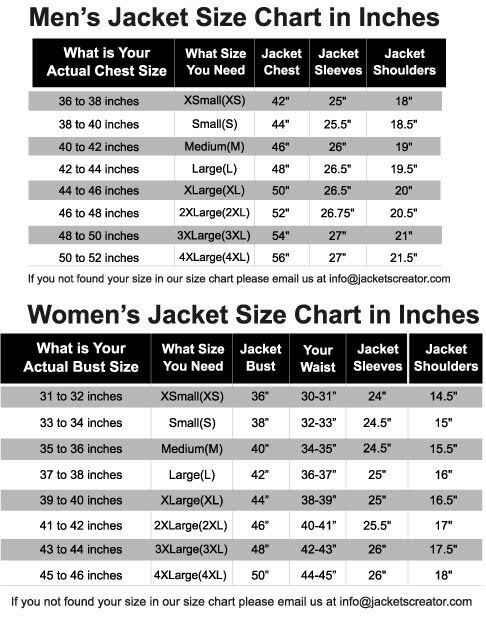 My chest size is 44″ i ordered Large and fits great. It has many tiny features which is difficult to add in a jacket finely. I was hesitating at the time of ordering. Now I am in pretty love of this wonderful attire. I am a bike rider and I have a large collection of different biker’s jacket. When I saw it, I became crazy to get it. But I wanted same as the real one. Jacketscreator made it possible for me.